Do you have these items in your closet, if so you have an evil spirits in your house? Any way check out these true scary items. The Dibbuk Box, you probably heard about this. It is a curse wine box with evil spirits. According to Jewish folklore, is said to be haunted by a restless, evil spirit that is capable of haunting and possessing the living. 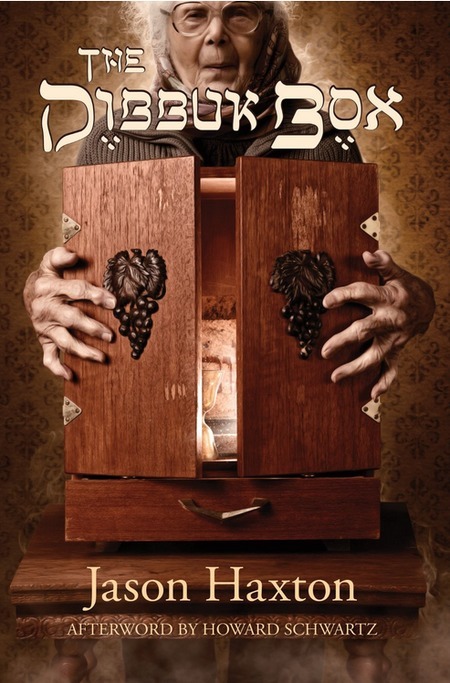 One particular dibbuk box became famous when it was listed on eBay along with a terrifying backstory. Now the dibbuk box is in safe place away from the public, this box is pure evil. A movie was made called the “Possession.” When filming the movie, the producer wanted to show the real box to the cast due to circumstance this box was evil and the owner did not want to show what evil this box can do and harm. In the movie the box was different than the original one. In 1849, a girl from a rich family named Anna Baker fell in love with a low class iron worker. Anna’s father, Ellis Baker, refused to let her marry her beloved, banishing the young man from their hometown of Altoona, Pennsylvania and dooming his daughter to a life of spinsterhood. Anna was so angry with her father that she never fell in love or married, and remained bitter and angry until her death in 1914. Before her father sent her true love away, Anna had chosen a beautiful wedding dress that she intended to wear at their wedding. When the wedding did not occur, another wealthy woman from a local family, Elizabeth Dysart, wore the dress instead, gloating the entire time. Years later, the wedding dress was given to an historical society, and eventually the Baker mansion was turned into a museum. The wedding dress was placed in a glass case in what was formerly Anna Baker’s bedroom. 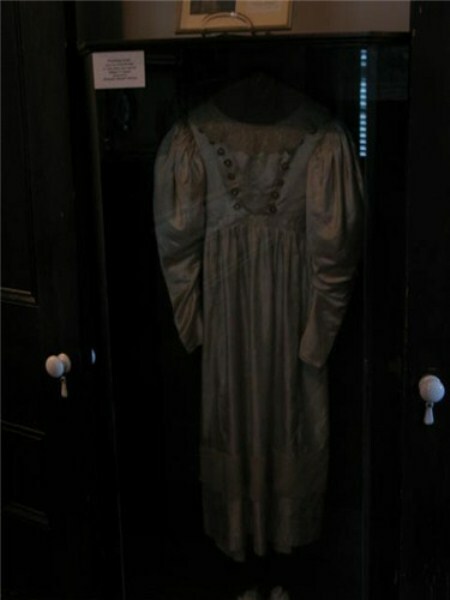 After her death, visitors claim to see the dress move on its own, especially during full moons. The dress sways from side to side, as if an unseen bride is standing in front of her mirror, admiring herself in the gown. Robert inherited the house and died in 1972, so the house was purchased by another family. A little girl who had just moved into the home found the doll in the attic and was instantly afraid of it. She said the doll was alive and wanted to kill her. Evil doll. 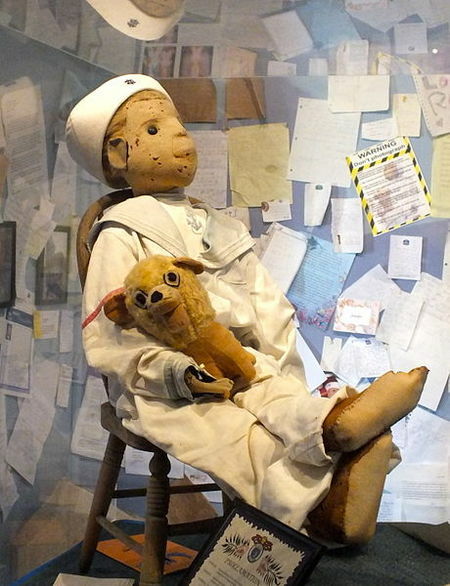 The doll finally wound up at an art gallery and historical museum in Key West, where it remains on display to this day. Oddly enough, visitors to the museum claim that they must ask permission to take a photograph of the doll. If they don’t, legend has it that the doll will curse you. The museum displays letters from so-called “cursed” individuals who have written to the doll, apologizing for not asking to take his picture, and asking to be released from his spell. If you see this doll do not take picture at this doll. Seriously not to take pictures. You will never know what will happened to you. The frightened girls contacted a psychic medium, who told them that the doll was possessed by the spirit of a young girl who had died in the apartment building. “Annabelle” said that she liked the college girls, and wanted to stay with them, so they told her that she could. Unfortunately, granting the spirit this permission lead to increased paranormal activity in their apartment, including having a male friend get attacked by the doll one night, leaving vicious scratch marks all over his chest and torso. 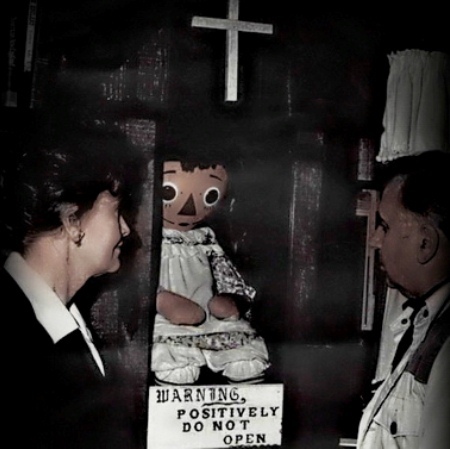 In the movie, the Conjuring, it was feature in the movie and of course not the real doll in the movie. Still the Conjuring is a true scary movie. They will be sequel of the movie with Ed and Lorraine Warren case files.